This is a continuous job posting. Applications are being accepted for possible future Police Officer job vacancies. Excellent job opportunity to qualified applicant. Work involves duties that include street patrol, basic investigations and maintenance of general order in Kernersville. Must be willing to work rotating shift schedule. Must possess general or probationary certification or have completed BLET within the last 12 months. Applicant will be required to pass a physical and drug test. All applicants required to undergo a psychological examination. Only applicants meeting or exceeding minimum qualifications will be considered. 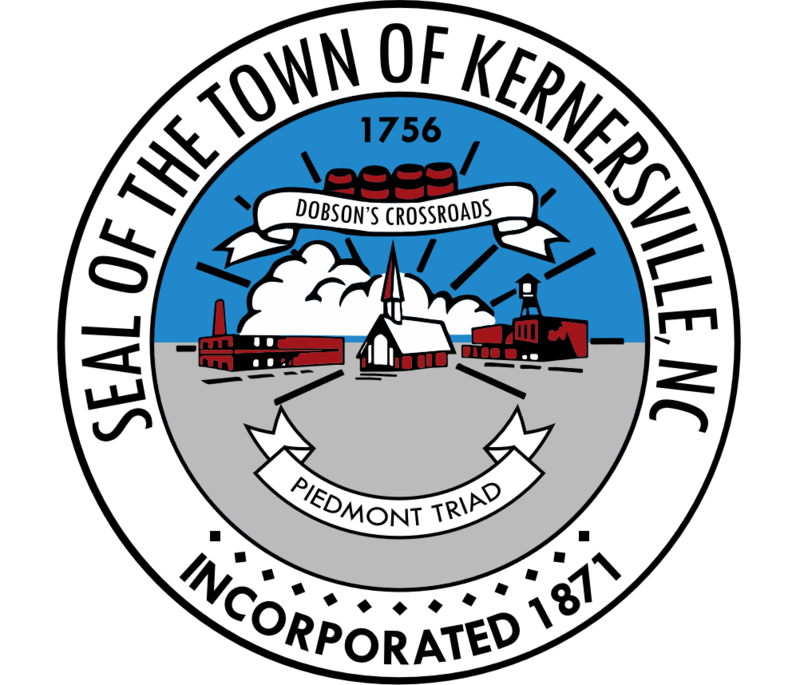 I am pleased that you have expressed an interest in a career as a Police Officer with the Town of Kernersville. We have a rich history of service to the community and our success is directly related to the quality of the officers we hire. This letter is designed to help you navigate the hiring process. Our process is extensive and designed to provide the citizens of Kernersville with the most professional and dedicated officers available. The Kernersville Police Department is committed to recruiting, developing and retaining highly competent and dedicated employees. The Kernersville Police Department is actively seeking new members to join our department and serve the citizens of Kernersville in both full time and reserve officer capacities. We want to extend a special invitation to women, minorities and bilingual applicants to consider a career with the Kernersville Police Department. As a full-time paid member of our department, you will receive competitive salary and benefits, cutting edge equipment and a take home vehicle. As a volunteer Reserve Officer you will receive the same exceptional training and equipment as our full time officers while maintaining the ability to work full-time in another occupation. I wish you the best of luck as you pursue your interest in becoming a Police Officer with the Town of Kernersville. If you have any questions about the Town or the Kernersville Police Department please contact me or Captain Jason Tilley, our Patrol Division Commander. I look forward to assisting you in the hiring process once we receive your application. The process is lengthy and can take up to four months to complete. In order to expedite this process, please make sure you have the following information available and ready to be turned in to your background investigator: Driver’s License, Social Security Card, Certified Copy of Birth Certificate, Original or Certified copy of High School and College Diploma and/or Transcripts, Credit Report ( Equifax, Transunion or Experian), Criminal Records Check from each county you have lived in since 16 years of age and Signed Authorization for Release of Personal Information (enclosed). Candidates who are not selected for a position will be notified in writing. Applicants may reapply in six months provided any deficiencies have been corrected. Full-Time Sworn Officer and Reserve Officer applications are accepted at all times. Full-Time Sworn Officer applications will only be processed when a position is posted. Any questions that you have can be directed to me at (336) 992-5468 or jtilley@toknc.com. Performs law enforcement work to protect life and property in the Town. The distinction between a Police Officer I, II and Master Police Officer I and II is contingent upon an employee’s progress through the Police Department Promotional Procedures Policy. Employees in this class perform a full range of general law enforcement duties either in the areas of patrol, traffic, school resource officer, gang prevention, or other special duty assignments. Work includes patrolling the Town during a shift in a police car or on foot; preventing, detecting and investigating disturbances and crime; investigating traffic accidents, helping victims, and performing traffic control work; apprehending suspects; testifying in court; and executing related assignments. Employees must exercise judgment, initiative and calm control when performing duties, but more difficult problems are normally carried out under the direction of or in conjunction with immediate supervision. Work involves frequent public contact which requires tact, firmness, and decisiveness. Work is performed in accordance with departmental policy and State and federal law, supplemented by specific directions from superior officers. Work is often performed under stressful emergency conditions and frequently involves personal hazards. The employees are subject to hazards associated with law enforcement including working in both inside and outside environments, and exposure to various hazards such as various atmospheric conditions, noise, vibration, and physical conditions. Employees are also exposed to blood borne pathogens, and may be required to work in close quarters. Work is performed under the direct supervision of the Police Sergeant and/or Police Lieutenant on the assigned shift, and is evaluated through observation, review of reports, and discussion concerning how particular incidents or activities were handled. Patrols streets in a police car or on foot; checks doors and windows; examines premises of unoccupied residences or buildings; detects unusual conditions, maintains surveillance and observation for stolen cars, missing persons, or suspects; reports dangerous or defective streets, sidewalks, traffic lights, or other hazardous conditions. Responds to calls for assistance, complaints, suspicious activity, domestic disputes, loud and disruptive behavior, and other needs; completes calls by determining true nature of the situation and taking whatever legal or persuasive action is warranted. Uses proper handcuffing techniques and search techniques to reveal any weapons or contraband and to affect arrest. Writes detailed and accurate reports for data and court purposes. Investigates traffic accidents; issues traffic citations; directs traffic and participates in other emergency operation activities. Performs investigations of accidents and possible crimes through observation, questioning witnesses, and gathering physical evidence; assists the detective in the performance of investigative tasks; arrests and processes criminal suspects. Advises the public on laws and local ordinances; serves papers as needed. Enforces traffic laws and regulates and directs vehicular traffic at busy times or when traffic signal malfunction or accidents require; maintains order at public gatherings. Investigates crashes to determine speed, improper movements, and other contributing circumstances. Communicates and operates a radio to receive instructions and information from or to report information to police headquarters. May perform special assignments such as preventing juvenile delinquency through public contact with students and school personnel and coordinate special outreach programs such as G.R.E.A.T, Clean Slate and TAG. Communicates with and gains information from suspects, victims, witnesses, informants, and the general public. May operate a chemical breath analysis machine and speed timing equipment. May perform general office related work in support of the police department. General knowledge of the State and federal laws, local ordinances and policies of the police department, especially relating to arrest, search and seizure, and traffic control. Some knowledge of law enforcement principles, practices, methods and equipment. Some knowledge of scientific crime detection and criminal identification methods and procedures. Knowledge of the geography and street system of the Town. Skill in the use of firearms and other police equipment and in the application of self defense tactics. Ability to act with sound judgment in routine and emergency situations. Ability to present effective court testimony. Ability to prepare clear and concise activity reports. Ability to build and maintain cooperative and effective public relations with the community. Work in this class is described as moderately strenuous and frequently requires physical exertion to complete tasks. Work requires the full range of body motion and the coordination of two or more limbs while sitting, standing, or lying down and the ability to keep hands and arms steady while moving your arm or while holding your arm and hand in one position. Work requires the ability to choose quickly between two or more movements in response to two or more different signals (lights, sounds, pictures); including the speed with which the correct response is started with the hand, foot, or other body part. Work necessitates the visual acuity to determine the accuracy, neatness, and thoroughness of work assigned. Working conditions include inside and outside environmental conditions. Employees in this class are subject to the typical hazards of public safety work, including dangerous work environments, exposure to inclement atmospheric conditions and exposure to potentially infectious bodily fluids. Employees may work in close quarters, crawl space, small enclosures, and other areas that could cause claustrophobia. Employees are often required to wear protective gear and clothing. Completion of high school and some law enforcement training or experience preferred. Further educational and experience requirements for advancement beyond Police Officer I are elaborated in the Police Department Promotional Procedures Policy. Possession of a valid Basic Law Enforcement Certificate and further specific requirements are elaborated in the Police Department Promotional Procedures Policy.